I have been working on a new animal illustration. What could it be? All I can say is, the animal is not an Australian native. Do stay tuned for its release sometime next month. Happy Easter everyone! 🥳 Happy 2019! 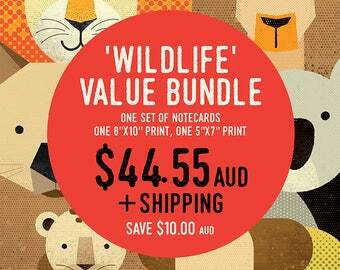 Thought you might like to know that I am introducing a colour variation to our Aussie Wildlife collection. So for those who have asked for bolder colours, stay tuned. 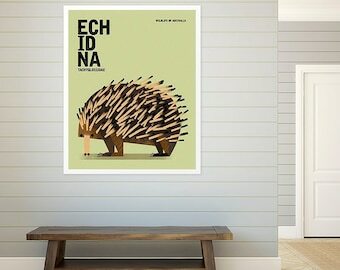 In the mean time do check out the new Echidna and Dingo just released. RED RABBIT REPUBLIC Quality art prints and designer paper goods for the young and young-at-heart. Welcome to Red Rabbit Republic! As a child, I was often told that I was ‘artistic’, but at the time this meant nothing to me. I was simply having fun, building stage props, giving science projects a creative slant and being captivated by art classes. My early days were consumed by creating and recreating — always on the floor. Eventually, I forged a career in the creative industry. Over 25 years I have kept my artistic self on my toes, exploring different fields all over the world. My career journey has included stints within the worlds of interior architecture, advertising, retail and publishing. I also ran my own visual communications business in Singapore and worked as a creative consultant in Australia. Red Rabbit Republic marks my return to earth – to the art that has always grounded me. I was missing the fun and freedom that I experienced as a child and I craved a new creative outlet. 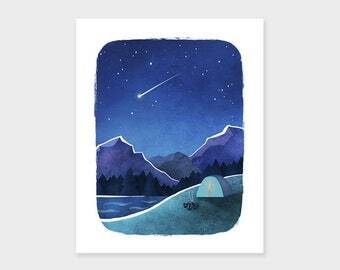 It became my mission to produce beautiful and affordable design-led artworks and paper goods. I believe there is a child within us all, whose heart still sings when memories are sparked and sensory connections are made. I aspire to reach these eternal children – both young and young at heart – with my art and design. My works are retro inspired and infused with a sense of freshness and fun. Great escapes always inspire my creative pursuits. Surrounded by nature, my spirit is nourished and I can reach my true creative self. And when I am not travelling, I’m in my backyard studio, working on new ideas and designs for Red Rabbit Republic — often still on the floor! Red Rabbit Republic products are proudly designed and made in Melbourne, Australia. Image Science produces each print on acid-free, archival fine art print paper of museum standard, and our paper goods are ethically sourced. Thank you for dropping in to Red Rabbit Republic. I hope that my work has brought a smile to your face and may bring joy, life and a sense of play to your home – no matter what your age.